A Multizone Mod kit can be fitted to make the Oppo region free for Blue Ray for a small extra charge. We offer Free UK delivery, Free upgrade to region free DVD, 2 year warranty and we provide free technical support and help 7 days per week. We also update the Oppo firmware to the latest version and fully test before despatch and we always double box in very robust packaging to ensure safe delivery. We use DPD for delivery and they will provide a 1 hour delivery timeslot confirmation by text and email and they are very reliable. Saturday or Sunday delivery can be arranged for a £12 extra charge as long as stock is available – enquire by phone to check. There is no need to pay extra for the Mod kit unless you have a collection of Zone A Blu Ray discs from the USA as we make the Oppo region free for DVD so all your DVD’s will play, it is only for USA Zone A Blu ray or Zone C that anyone would need the mod kit fitting, if you don’t need it then no need to pay the extra as more to go wrong with any firmware upgrades. Keeping it simple is always the best way and costs less. You are welcome to phone Mark with any questions. Features: Advanced Image Processing Technology With over a decade of experience developing high-end DVD and Blu-ray players, OPPO has once again teamed with MediaTek to produce and manufacture a specialized 4K UHD Blu-ray decoder SoC – the quad-core OP8591, which offers the most advanced image decoding and processing technology available for 4K UHD Blu-ray, Blu-ray, DVD and user generated media formats. Advanced Audio Processing The UDP-203 features a premium 32-bit DAC from AKM, the AK4458VN, which is an 8-channel DAC with support for formats such as 192 kHz / 32-bit PCM and multi-channel DSD64/128. 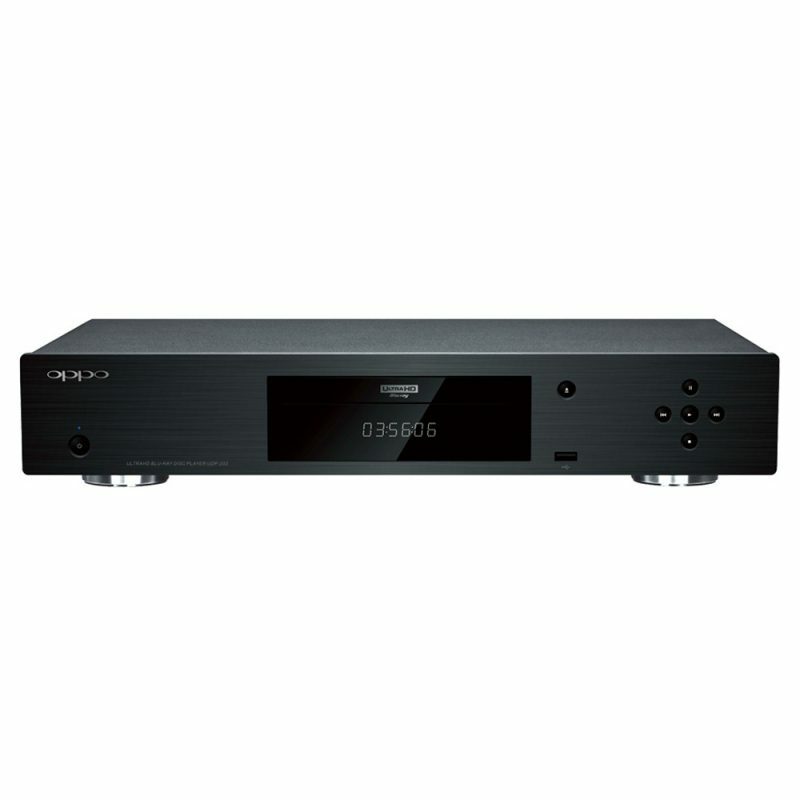 4K UHD Blu-ray and Media Playback The UDP-203 is capable of playing the new 4K UHD Blu-ray discs as well as 4K media files and user generated content. Support for decoding the HEVC, H.264, VP9 4K, and Hi10P video codecs provides increased compatibility with user generated media. Upscaling to Ultra HD (4K) Resolution The UDP-203 is capable of upscaling lower resolution content up to 4Kx2K at 50/60Hz to a compatible display, which is four times the resolution found on a 1080p Blu-ray disc. HDR and HDR to SDR Conversion One of the more exciting elements of the new 4K UHD format is the inclusion of high-dynamic range (HDR) video and an expanded color range, allowing for more natural and true-to-life colors. The UDP-203 supports the HDR10 format, and it is also capable of providing an accurate conversion from HDR to SDR for older displays. Advanced Picture Control The UDP-203 also features advanced picture controls. Adjustments can be made to brightness, contrast, hue, saturation, and sharpness, allowing the customer to make adjustments to compensate for any limitations found in their other home theater components, or merely to adjust the image to their own personal taste. Supports up to 4k@60 resolution with native 4:4:4 Color Space The UDP-203 features support for all current SD, HD, and UHD resolutions, including 4K@60p, 4K@50p, 4K@30p, and 4K@24p using various color spaces such as PC RGB, Video RGB, YCbCr 4:4:4, 4:2:2, and 4:2:0. ULTRA HD RESOLUTION AND HIGH DYNAMIC RANGE 4K Ultra HD Video The UDP-203 supports the playback of 4K Ultra HD Blu-ray Discs. Packing a resolution of up to 3840 x 2160 pixels, UHD Blu-ray delivers four times the pixels of Full HD Blu-ray. The UDP-203 is also capable of playing 4K media files and user generated content. Support for decoding the HEVC, H.264, VP9 4K, and Hi10P video codecs provides increased compatibility with user generated media. High Dynamic Range The UDP-203 supports High Dynamic Range (HDR) and Wide Color Gamut. The enhanced resolution, refined contrast, greater brightness, and expanded color produce stunning video with unparalleled clarity and detail. In addition to supporting the HDR10 format on discs and video files, it is also capable of providing an accurate conversion of HDR to SDR for older displays, as well as conversion between various color spaces such as BT.2020, BT.709, and BT.601. Dolby Vision Upgradeable Leveraging hardware designed to support Dolby Vision, customers can expect a firmware update in early 2017 that brings Dolby Vision support to the player. Dolby Vision transforms the TV viewing experience by delivering striking highlights, brilliant colors, and deep darks never before seen on standard television screens, and OPPO is committed to bringing this exciting technology to the UDP-203. 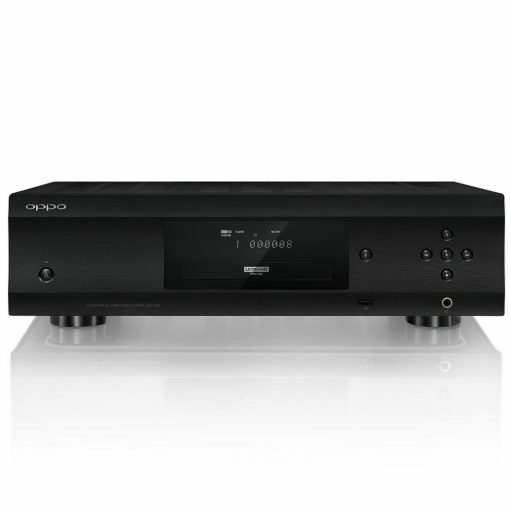 EXPERTISE AND QUALITY Reference Quality Video The UDP-203 combines the latest technology with OPPO’s many years of experience in delivering high quality video and audio. A customized quad-core video decoder/processor integrates OPPO’s advanced video decoding, processing and optimization expertise. High Precision Disc Loader A high-precision, well-balanced laser optical disc loader ensures smooth and reliable playback of all types of disc media. An optimized laser mechanism to ensure super fast disc loading, strong error detection and correction. Exceptional Build Quality The UDP-203 features a brushed aluminum front panel, a rigid steel chassis and gold plated connectors. The solid build quality not only presents a sleek aesthetic, but also ensures dependable operation and reliable connection.